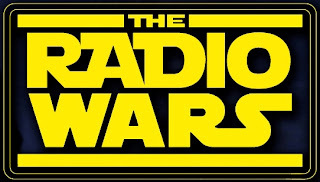 We left off with the Galactic Empire (Hi FM) having banished the Ewoks (Sultanate of Oman Radio) to their tree village, and busily setting about running their empire (radio station) in the galaxy (Oman). This might make more sense to you if you watch the Star Wars films. Or not. Is there really anyone out there that has not seen a Star Wars film? And so, as it seems impossible to satisfy everyone with one single radio station, a new rebel alliance was formed to take on the dominating Hi FM. And so the rumours began at the end of 2010 that there was going to be a new English language radio station coming to Oman. The rebel alliance was growing, and eventually their name and branding was leaked online by the Undercover Dragon in April this year. Previously people were referring to it as "Sabco Radio". Merge 104.8 now had a name, and shortly after the leak announced that they plan to launch at 7am on Tuesday the 7th of June. Just like HiFM, Merge have begun their test transmissions around the city (and country?) and you can listen in on 104.8 on your radio dial right now. I understand they are only broadcasting during some hours of the day, but the music sounds pretty fresh, but at least to my ears, from the same playlist that Hi FM is playing from. 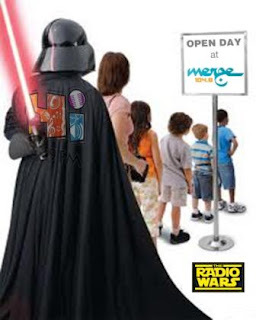 The lines are now drawn: 7am on Tuesday the 7th June (thats next week) Merge will launch their assault upon the Galactic Empire that is Hi FM. I wonder if the Ewoks Sultanate of Oman Radio 90.4 guys and girls will roll out anything new as well at this time? Hi FM have already changed their presenters (Erin last year, Rachey Roo (Now on Dubai 92.5) & Chris Marsden removed, and Marcus added recently this year, along with syndicated shows from Roger Sanchez and Ryan Seacrest) and have notably changed their sound and are playing more US Billboard top 100 music in the day and more dance music in the evening. Darren and Kathy are still going strong too. I wonder if they will finally start reading the news? In contrast, Merge have the talented (and regionally experienced - in Dubai) presenter Chris Fisher for the morning show (so going head to head against Darren) and British lass, Sayeh Stone pulling the evening drive-time show and will be facing up to seasoned HiFM presenter, Erin Fleming. Merges secret weapon appears to be dance music, with radio shows from the following acts lined up for each night (which to be honest looks awesome): Hed Kandi, Paul Oakenfold, John Digweed, Carl Cox, Armin Van Buuren, Adam Beyer and even Eddie Halliwell. It'll be interesting to see how Hi react to this, as they currently have Roger Sanchez, Global Dance Sessions and Aly & Fila Future Trance in their dance line up. Being a fan of dance music I'm pretty pleased about this development! HiFM have already made a pre-emptive strike against Merge by rolling out a forced listening campaign (as it's known in the biz, I'm told). Hi FM are giving away business class tickets to Paris to see the Black Eyed Peas in concert, VIP backstage passes, and also the hotel - all you have to do is wait until the alarm is sounded in the morning or afternoon drive time shows and then text in - it's a clever campaign because it'll surely keep people listening to them for a chance to get the tickets. And to us, the listeners, go the spoils of war... more music, more choice, more prizes. 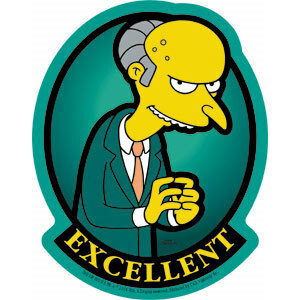 As Mr Burns likes to say - Exxxxxxxxcellent. Lets see what Merge have up their sleeves next week then! Thanks for the update Sythe! I've been really liking the music on air so far. Haven't heard too much repeat, for obvious reasons. Judgement will befall once programming commences I suppose, but from what you've mentioned being a dance music fan myself, this looks very promising! hmm! so its 7th June, ok noted! thanks Sythe, also heard that yet another FM is cuming up for the Indian / Asian community, true or rumors?? again that would be Exxxxxxxxxcellent, Mr. Burn's style! Adam Beyer and John Digweed on the radio in Oman?! Awesome! their website isnt up.. so does anyone know when transitions, revolution and drumcode will be playing?? Seems to me their programming is targeting all the Brits. imo hifm has become more of a money making thing, advertisements advertisements and advertisements, i dont think they have ever learnt about over advertising. Hi-Fm has become more of a money making thing? How do you think they pay their bills? The only way radio works, is if the radio station has advertisements, and that is the reason it remains FREE for you to listen to. When the new station comes on air they will have as many if not more commercials. If there are no commercials, there is no station. By the way, I don't think you ever "learnt" how to use English correctly. They're playing some quality music, thats for sure :) Loving it.